Jonathan Schildkraut of Evercore ISI, commented, “CCI reported solid 1Q results, with site leasing, EBITDA, and AFFO per share ahead of our estimates by 0.6%, 2.0% and 5.8% respectively. Notably, AFFO for 1Q benefitted from ~$6 million in lower than expected sustaining capex, or roughly $0.02 per share. Without this benefit, AFFO per share would have been $1.13, 4.0% ahead of our estimate. CCI also increased its FY15 outlook for site leasing, EBITDA, and AFFO per share by 0.2%, 0.1%, and 0.2%, respectively, which implies strong domestic results given the reduction in FX assumptions (moving the AUD/USD assumption to 0.76x from 0.81x).” Continue reading here. Communications Tower Group, a wireless infrastructure tower company, headquartered in Charlotte, North Carolina, announced that it has received funding commitments from Indigo Capital and MCM, Inc. Indigo Capital is a New York-based private equity fund and MCM is one of the largest, privately held wireless infrastructure providers in the Northeastern U.S. MCM and Indigo Capital have extensive experience investing together in the tower sector. Since 2010, they have jointly started successful tower businesses in six countries throughout Latin America that have grown to more than 2,000 towers in operation or under development. The investment will be used to execute build-to-suit agreements, develop small cell sites, and acquire communications towers. Founder and CEO, Ricardo Loor, who has 24 years of experience in the wireless industry, will lead the company. Continue reading here. 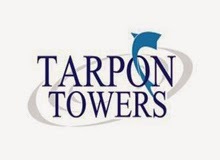 Tarpon Towers II announced this morning that it has secured over $100 million of new capital to acquire and build wireless communication towers and other wireless infrastructure. Tarpon II is a newly formed wireless communications tower company, a joint venture created by new funding consisting of a $60 million equity commitment from private equity firm, Redwood Capital Investment, LLC, and Tarpon’s management team. Additionally, Tarpon has obtained a commitment from a regional bank for a $40 million credit facility. “We are excited about partnering with Redwood Capital and continuing to invest in U.S. based assets. With Redwood Capital, we have found a partner that is committed to investing over a much longer period than traditional equity sources and has the capability and appetite to invest significantly more than the initial capital commitment,” said Ronald Bizick, Tarpon’s CEO. Continue reading here. In a research note last week, Macquarie Securities analysts, Kevin Smithen and Will Clayton, reported that they believe Verizon will win the entire FirstNet public safety project. 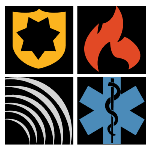 “We believe that FirstNet, on the back of the $45 billion AWS-3 auction, will be one of the key areas of focus at the upcoming PCIA towers conference in two weeks. We are increasingly of the view that Verizon could win this project and that this could alleviate our concerns over the lack of a natural second tenant on the newly acquired Verizon sites,” they wrote. Many expect FirstNet to begin their “amendment or new tenant revue” in the tower sector between late 2016 and 2019, but it’s unsure it FirstNet will use Verizon entirely or utilize all four major carriers. FirstNet’s mission is to build, operate and maintain the first high-speed, nationwide wireless broadband network dedicated to public safety. AMT to Slow Down Global M&A? Kevin Smithen and Will Clayton, analysts at Macquarie Securities, recently upgraded American Tower to “Outperform” with a target price of $107. “We believe that AMT’s management will slow down the pace of global M&A over the next 12-18 months and focus on VZ tower lease-ups and a potential public safety opportunity in 2016, despite a plethora of assets reportedly for sale in Europe, India, Africa and LatAm,” the analysts wrote. “In our view, tower stocks perform the best when there is no M&A and the companies can naturally deleverage and return excess cash to shareholders.” Continue reading here. SBA Communications is urging its stockholders to vote against a shareholder proposal concerning proxy access, SNL Kagan reported. “The Comptroller of the City of New York, the custodian of various funds that own 638,759 shares of SBA stock, urged the company to adopt a ‘proxy access’ bylaw, “SNL Kagan explained. This would require the company to open up their board nominations to shareholders. USAToday reported that a growing collective of multibillion-dollar investment funds are pushing companies to adopt “proxy access.” “More than a dozen companies have pushed back against shareholder-led changes, which has prompted investors to warn directors that they could lose votes in the upcoming election season,” USAToday reported. Without this access, directors are nominated entirely by the board, usually without input from the shareholders. Continue reading here. On April 8, the Federal Communications Commission granted AWS-3 licenses for the spectrum auction that closed January 29, 2015. While the list is fairly long, the majority of the licenses went to AT&T, Verizon (Cellco), and T-Mobile. However, the list leaves off Northstar and SNR Wireless, the two designated entity bidding partners that Dish has an 85% stake in. Since the close of the auction, in which Dish managed to secure $3 billion in discounts by using the two aforementioned companies to do their bidding, there has been discussion on whether they followed the directions. FCC Commissioner Ajit Pai has been adamant that the Commission investigate Dish and re-examine the DE rules. Dish maintains that they were upfront about their auction plans and followed the DE rules. It’s likely that Dish will receive the licenses from the auction, but it might take some time. Continue reading here. SNL Kagan recently reported the top 69 tower companies by location, explaining that the leading tower companies have grown locations at a 2.8% compound annual growth rate since 2009, driven by smartphone growth and LTE build-outs. “We estimate the top 69 tower owners ended 2014 with 124,749 active and in-development tower and distributed antenna system locations in the U.S.,” John Fletcher wrote. SNL Kagan doesn’t include small cells in this report, and they anticipate the tower growth to remain strong in the medium term as 4G densification continues. In addition, FirstNet, with its pockets full of AWS-3 cash, can now start seriously planning the nationwide rollout of its first responder wireless network. At the end of 2014, Crown Castle was the largest tower company with more than 40,000 U.S. towers, with American Tower in second with 28,996 towers, SBA at 18,237, and the next four in line being the wireless carriers: Verizon, AT&T, U.S. Cellular, and T-Mobile. “For six years, Crown Castle has retained its No. 1 position as the largest U.S. wireless communication tower owner. Continue reading here. iHeartMedia has closed the first part of their deal with Vertical Bridge, selling off 367 tower sites. The companies announced the deal on December 11, 2014, reporting that iHeartMedia would sell 411 tower assets to Vertical Bridge for up to $400 million. There’s no timetable for when the remaining 44 towers will be transferred. In a regulatory filing, iHeartMedia indacted those additional sites will be transferred when “defects are cured.” However, the initial deal required Vertical Bridge to buy 85% of the 411 towers, or 349 sites, which has now been met. But iHeartMedia’s COO/CFO Rich Bressler told investors to expect multiple closings as Vertical Bridge completes its due diligence across more than 150 markets nationwide. Continue reading here. 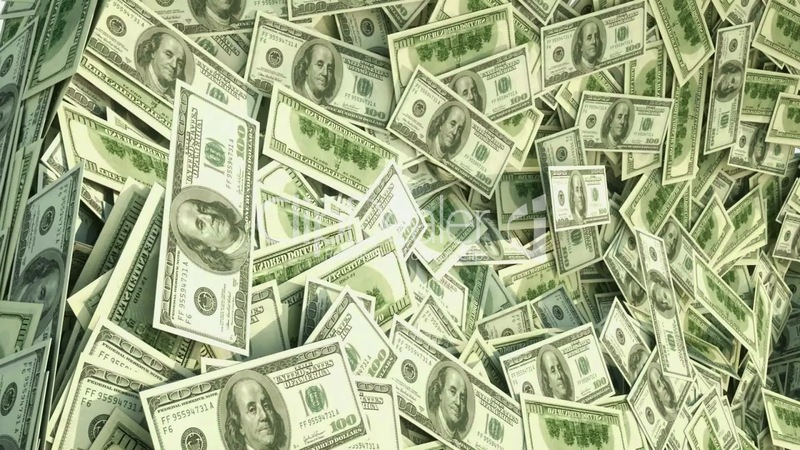 A new report from the Dell’Oro Group speculated that due to the U.S. dollar strengthening, $20 billion in telecom capex could be wiped out during 2015. The research team noted that telecom operators around the world invested heavily in their fiber and LTE networks during 2014 resulting in a fourth consecutive year of capex growth as advancements in mobile related spending offset declining wireline investments. “We have not made any major changes to our constant currency capex projections for 2015 and continue to expect the market will grow at a low-single-digit pace in 2015 driven primarily by China and Europe,” said Stefan Pongratz, Dell’Oro Group Carrier Analyst. Continue reading here. 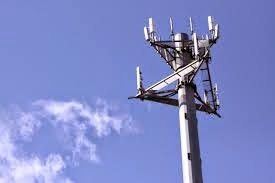 In December, U.S. Cellular sold 595 towers to Vertical Bridge for $159 million. The company has now teamed up with King Street Wireless to add more than 600 4G LTE cell sites this year and expand their existing service in 10 states. 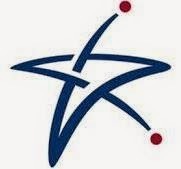 The company said that by the end of 2015, 98% of U.S. Cellular customers will have access to 4G LTE speeds. According to SNL Kagan, “This latest U.S. Cellular network expansion brings additional 4G LTE service to areas in California, Maine, Maryland, New Hampshire, North Carolina, Oregon, Vermont, Virginia, Washington and West Virginia. More than 2,000 new cities and towns will receive 4G LTE speeds. King Street Wireless currently holds 700 MHz wireless spectrum in 27 states.” To read more articles like this, click here.